On Friday, January 13th, 2017, the Germantown Friends School 6th Grade visited the Pennsylvania Farm Show in Harrisburg, PA. Below is a list of the best things to do, see, and eat at the Farm Show. The 2017 Farm Show has (sadly) ended already, and won’t be returning for another 11 months. One of the very first things that I did at the farm show was visit the GIGANTIC food court. Despite the amount of people inside, the lines to get food were pretty fast. For lunch I had some spicy wings and a chocolate milkshake. The wings were okay, but the milkshake was heaven inside of a cup. It was by far the best milkshake I have ever had. Most of the people in the food court also had milkshakes. Other incredible foods at the farm show include maple flavored cotton candy, chocolate covered bacon, cheese cubes, funnel cake, fries, chicken, pork, fish, fresh produce, and other delicacies. The main thing to see at the farm show is the animals. 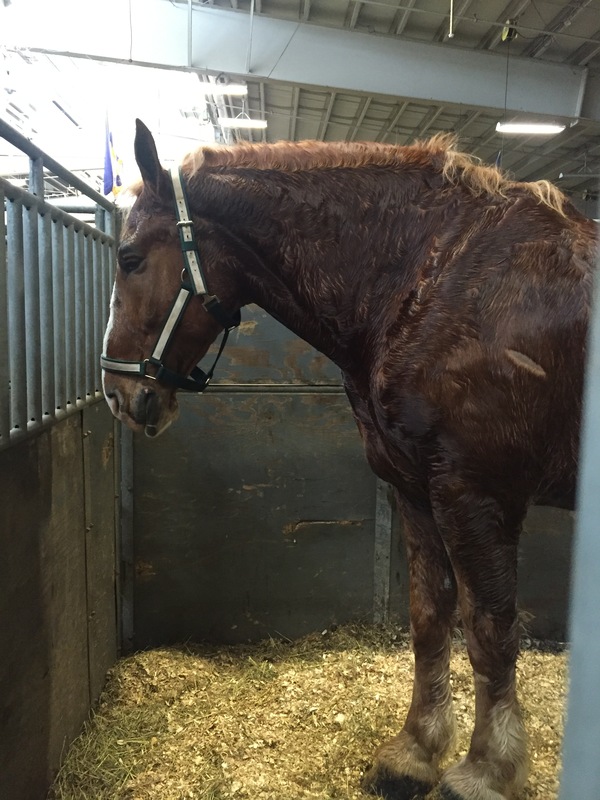 My favorite animals at the farm show were the huge draft horses. They were taller than all the adults, and probably stronger too. 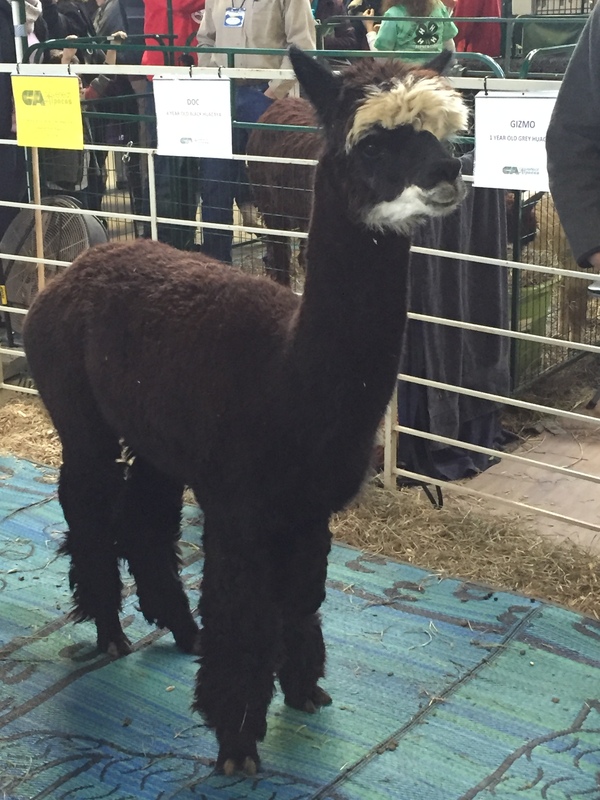 The other awesome animals at the farm show included extremely cute and fuzzy rabbits, alpacas, goats, sheep that felt like furniture instead of animals, and cows. There was one bull, the mechanical one that tried to knock you off of its back. A farmer is nothing without a tractor. That probably explains the room full of tractors behind the food court, ranging from huge tractors that you needed a ladder to get into, to tiny tractors for kids to ride in. We even got to see a tractor square dance (some tractors riding in circles and figure 8s for a long time). There were also a lot of gift shops at the farm show. I bought a model of a Pennsylvania State Police helicopter. There were also peacock feathers, cowboy hats, custom belt buckles, and endless toy animals. 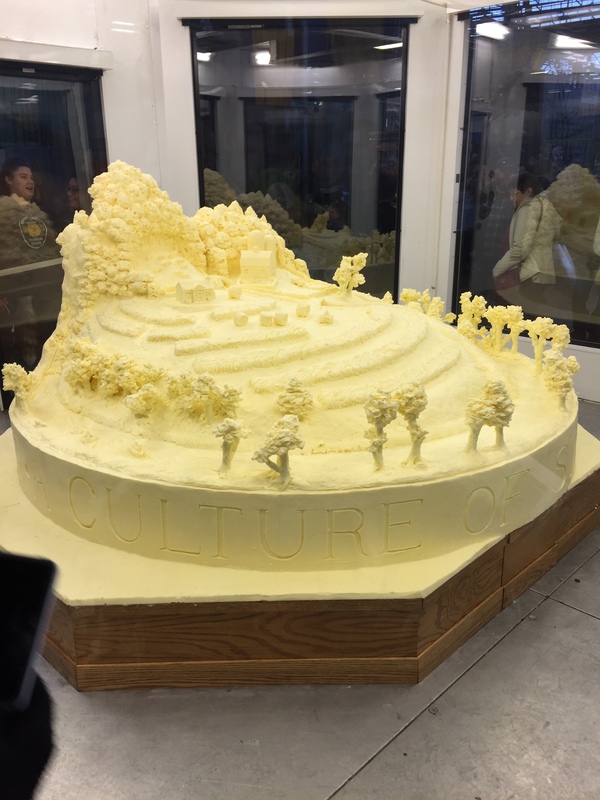 But the most impressive thing at farm show was the butter sculpture. It was a huge, round slab of butter, with an incredibly detailed farm landscape on top. It was a calorie filled centerpiece perfect for the farm show. The farm show convinced me that farmers are sort of cool, they make epic milkshakes, and they can do amazing things with something as simple as butter.